1// a bit of blue Monday. Very little sleep, bad nappy rash baby and serious TMJ pain. 2//but silly selfies pass the time. 3// stepping out to the shops on lunch. Results in me buying all the things. 4// work is hard, long and stressful. And I still mostly enjoy it. 5// but the bedtime cuddles are good! 6//and being there for bath times is great. 7// prep first birthday prep. Wrapping presents. 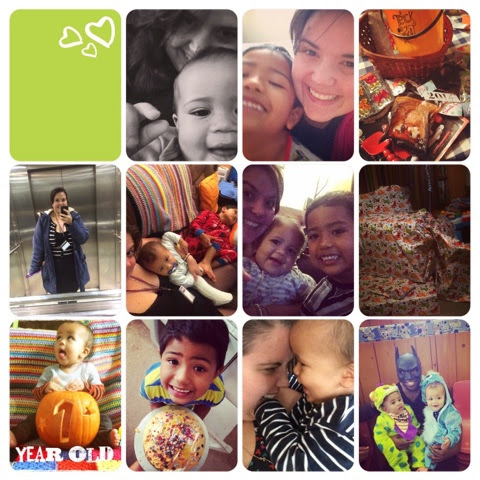 8// and little one turns one!' 9// cake decorating for his brother. With all the sprinkles. 10// cutie cuddles. 11// and birthday party succes! !